For over four decades, one car has dominated the segment it first invented. 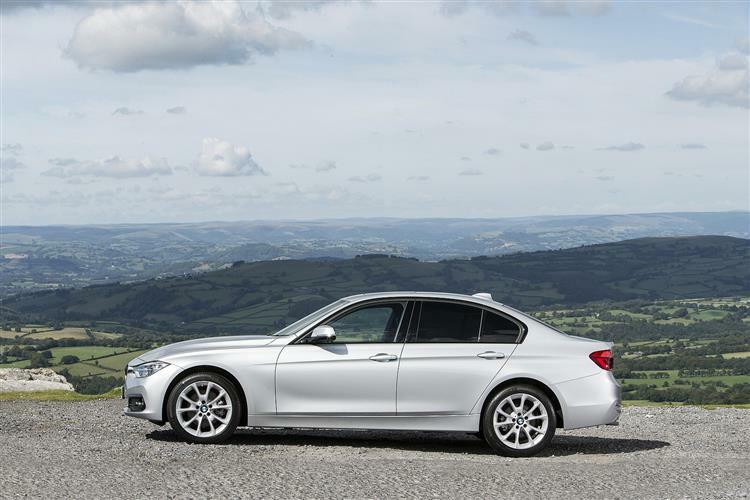 BMW's 3 Series established the market for sporting premium mid-sized executive cars way back in 1975 and it's been a benchmark in this sector ever since. Never though, has the competition been stronger, opposition that back in 2015, this much improved sixth generation version had to be good enough to face down. What was needed at this time was more than just a wash 'n brush-up - and we duly got just that. For a start, nearly all the powerplants on offer in this revised model were completely new, some of them real headline-makers. Like the three cylinder MINI-derived engine. The Plug-in Hybrid variant capable of nearly 135mpg. And a diesel engine able to return nearly 75mpg and sub-100g/km CO2 emissions. There was stunning performance on offer too: a six cylinder 335d diesel with almost as much torque as a Lamborghini V12. And a petrol 340i variant boasting the kind of power previously limited to BMW's M3 street-racer. The changes to this updated MK6 model weren't only about performance and efficiency though. There were sharper looks and clever LED headlights, plus this car was the first in its segment to support the much faster data transmission speeds of 4G LTE as part of the class-leading smartphone connectivity that BMW knew its business buyers would want. On top of that, almost countless little tweaks were made in polishing the class-leading handling dynamics, with the classic rear wheel drive configuration joined on selected models by an xDrive 4WD option for those wanting it. On paper then, what was offered here seemed to be a very complete package - and sure enough, it sold well until the car was finally replaced in early 2019. 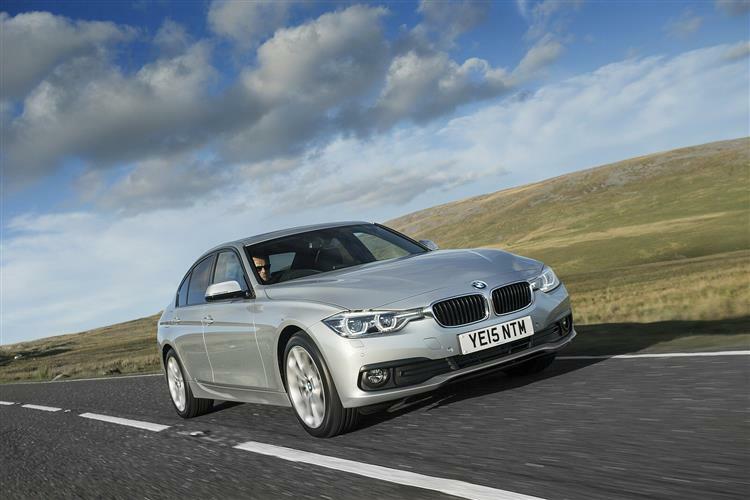 The style and aesthetic proportions of a BMW 3 Series are now familiar to almost every business buyer, with classic cues like the kidney grille at the front, the sharp lines of the flanks and the powerful rear end all present and correct. 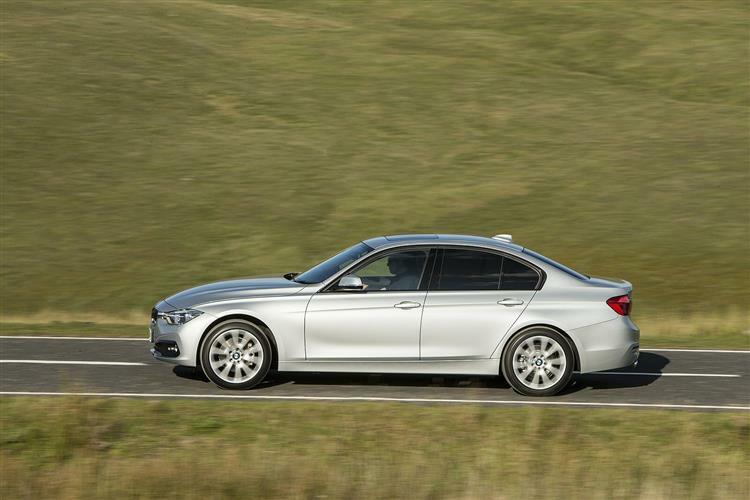 So too the distinctively sculpted long bonnet and set-back passenger compartment, which combine with short front and rear overhangs and a long wheelbase to create the kind of dynamic proportions you'd expect from a BMW. In their own way, all these things are as much a hallmark of this Munich model as its famed perfect 50:50 weight distribution. Aesthetic changes were made to this improved sixth generation model though. Mind you, some of the detail tweaks - the broader side air intakes that smarten this more sculptural front bumper for example - will be difficult to spot unless you happened to own the original version of this car. Perhaps more noticeable are the LED 'eyebrows' that sit above headlights now positioned a little further apart. Take a seat up-front and if you happen to be familiar with the original version of this sixth generation 3 Series model, you might think that relatively little has changed with this post-2015-era revised version. Look at little closer though and it's clear that BMW has poured over the details here, the result being a significant lift in perceived quality - and a classier feel. The dashboard looks smarter and less plasticky and it's harder to find the kind of low-rent, shiny plastics that should have no place on a car of this price. Key areas like the control panel in the centre console are finished in high-gloss black, while chrome accents feature around the air vents, as well as on the re-designed switches provided for window and seat adjustment. You still get a proper old-school handbrake and, as usual, the low-slung driving position perfectly places you in front of a grippy three-spoke leather-trimmed multi-function steering wheel. Through it can be viewed a familiar set of clear analogue dials. Everything else you might need to know has been packed into the many and varied menus of the iDrive infotainment system you view via a 6.5-inch freestanding control screen that sits on top of the dash and is operable via a circular rotary controller below the gearstick. As with direct rivals like Audi's A4 and the Mercedes C-Class, the rear of the cabin will feel rather squashed if it's asked to take three passengers, partly because the rear wheel drive layout means you have to have a hefty central transmission tunnel. As for the boot, well it's 480-litres in size - the same as you'd get in a Mercedes C-Class or an Audi A4 but around 25-litres more than is offered by a rival Jaguar XE. A folding rear backrest was optional for original buyers. Of course, if you're regularly going to be carrying bulkier cargo, you'll be wanting to find an example of the Touring estate model, which offers 495-litres with all the seats in place and 1,500-litres with the rear bench folded. Our owner survey did reveal many satisfied users of this car but inevitably, there were a few issues reported. Obviously, a fully-stamped service history is vital. This car uses complex engines and only regular and appropriate maintenance will see them go the distance. The biggest potential for financial grief down the track is the variable valve-timing mechanism (VANOS, in BMW-speak) which is vital to the engine's efficiency and performance but can suffer if that maintenance has not been observed. The tiny oilways that help make up the VANOS system can become clogged with dirty oil and this won't be cheap to put right. In fact, early-build 3-Series with the six-cylinder engine were actually recalled over VANOS issues. It seems the oil-feed line to the VANOS unit on these engines could become loose, leading to a loss of oil pressure and sending the car into 'limp-home' mode. And you won't see a tell-tale oil leak from the loose fitting, because it was an internal leak that caused the dramas. According to BMW, a lack of lubrication in the booster's vacuum pump could lead to a loss of braking assistance. The brakes would still work, but would require a much bigger push on behalf of the driver. Otherwise, it's just the usual things. Insist on a fully stamped-up service record and check the alloys for scratches and scuffs. [based on a 2015 model 320d diesel auto] Parts prices for a 3 Series from this period can be reasonable if you shop around. We trawled around the internet and found these: An air filter costs around £11-£27. An oil filter is in the £16-£33 bracket. A fuel filter is in the £16-£35 bracket. Front brake discs cost in the £70-£103 bracket, though pricier brands can cost in the £125-£135 bracket. Rear brake discs cost in the £65-£70 bracket, though pricier brands can cost in the £100 bracket. Front brake pads sit in the £36-£60, though pricier brands can cost in the £90-£120 bracket for a set. A set of rear pads is around £31-£80. A headlamp is about £265. A tail lamp is about £88. A front fog lamp is about £88. A radiator can be had for around £200-£227. The basic formula here hasn't changed much. 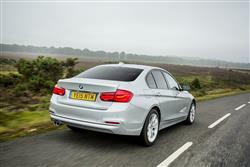 Front engine, rear wheel drive, and near perfect 50:50 weight distribution have defined the 3 Series to date and this one doesn't deviate too far from that script, although BMW has of late been doing rather well in this country with its growing line-up of xDrive all-wheel drive versions. But it's in standard rear- driven guise that this car really seems to shine in comparison to its mid-sized executive segment rivals. Tweaks made to the suspension and steering for the 2015 MK6 model facelift made this car even more rewarding to drive and the manual and automatic gearboxes (also revised at this time) improve your feeling of connectedness still further. As usual in models from this era, BMW included a 'Drive Performance Control' system across the range allowing you to change steering and throttle settings (plus on automatic models gearshift timings), to suit the way you want to drive. Get a car whose original owner specified the 'Adaptive M Sport suspension' and the DPC set-up will alter the damping too. Under the bonnet, much changed as part of this MK6 model's 2015-era facelift, especially in the petrol line-up that for this improved design starts with a 136bhp three cylinder 1.5-litre MINI-derived engine in the base 318i variant. Next up is an in-line four cylinder 2.0-litre powerplant, developing 184bhp in the 320i and 252bhp in the 330i. 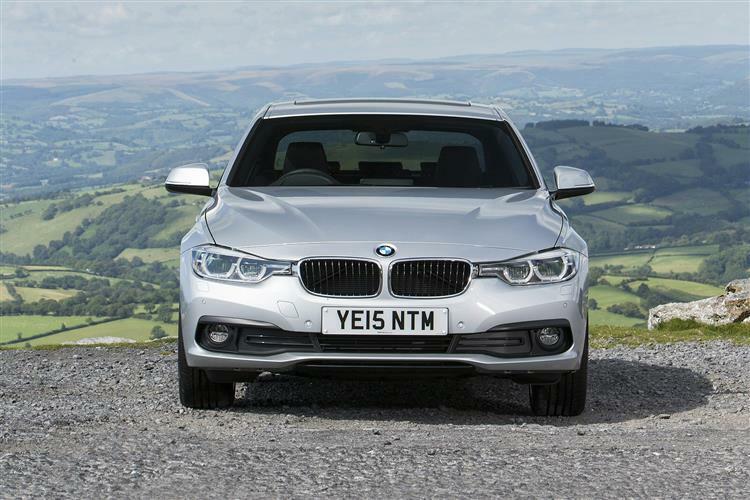 Also improved as part of this facelift package was the six cylinder 3.0-litre unit in the potent 340i, which offers 326bhp. 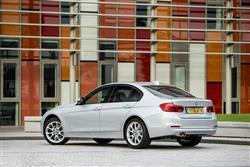 Most original buyers though, focused on the 2.0-litre four cylinder diesel models. Their TwinPower Turbo unit comes in 116, 150, 163 or 190bhp states of tune; the 163bhp 320d ED Plus model we'd recommend is capable of up to 74.3mpg on the combined cycle and as little as 99g/km of CO2. This variant sits below a 3.0-ltre six cylinder powerplant offering either 258bhp or 313bhp in the top 330d or 335d variants. 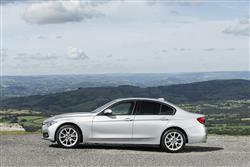 BMW has rarely had to work as hard on a mid-term facelift as was the case with this post-2015-era 3 Series model. The exterior tweaks might be subtle, but they hide the significant engineering changes that were necessary to allow this car to keep pace with rejuvenated premium rivals that by 2015 it was having to compete against. So this revised model delivered more where more was needed - in areas like power, equipment and technology. And less where less was required - in terms of fuel consumption and emissions. Beyond that, wisely, the winning formula was left largely as it was - which means that if you didn't previously fancy a 3 Series, you still might not be converted by this one. If, on the other hand, you already had it high on your shopping list and come in search of a used mid-sized premium saloon or estate from the 2015-2018 period, its much improved product and efficiency proposition will be more appealing to you than ever. If that's the case, then the class-leading rear-wheel drive handling dynamics will be merely the icing on the cake. Are there still faults here? You'd have to say that there aren't too many, provided you can afford the premium pricing and you're not looking for copious levels of boot space or rear seat accommodation: both, to be fair, are par for the course in this segment. Beyond that, the only real issues here lie in whether the original owner managed to get the spec of his or her car right. 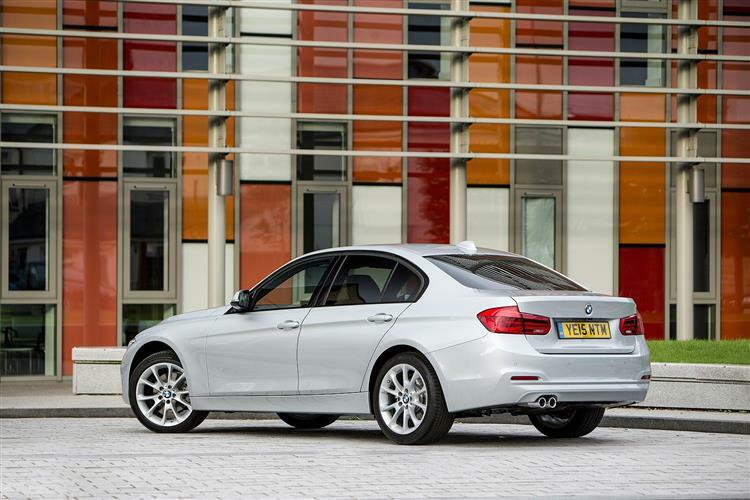 If you find a 3 Series on which too many boxes were ticked, it might be a touch pricey. If on the other hand, you find a more reasonably priced one on which the wrong ones were ticked - for things like the vague 'Variable Sport' steering or the super-stiff non-Adaptive M Sport suspension - then to some extent, those all-important driving dynamics will have been damaged. The latter issue is one you really want to avoid, given that exemplary handling is still the most compelling argument for this car. In a world where driving can so often be such a mechanical, joyless activity, this BMW remains involving in a way its competitors are struggling to match. In that respect at least, this version remains a benchmark for its period.